Do you need a TV Booster Amplifier? This is something we can help you with. We can test to see if a TV Booster is really what you need. Call Speedy TV Antennas now to help you boost/amplifier your TV signal. We use top quality TV Boosters from Kingray, Matchmaster, Johnston boosters. Kingray comes with a three year manufacturer's warranty and are trustworthy and reliable. There are various types of TV booster amplifier that one can use but the right one to use is something only an experienced antenna technician like us knows. 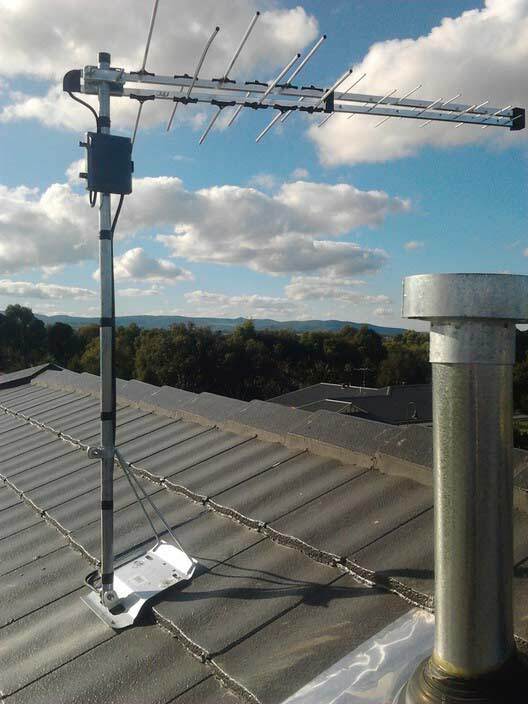 For poor signal areas (but still good quality) we can install a Mast Head Amplifier which usually has excellent results. This solution is preferred when no main power supply is available close to the Aerial installation position. The Mast Head Amplifier is powered over the signal cable itself using as special PSU (power source unit). The main advantages of Mast Head Amplifier are the improvement of Digital Antenna Signal and low noise levels. TV Boosters/Amplifiers and Attenuators- Solutions for too low and to high signal strength. One important thing to note here in boosters not all boosters give positive result for all areas so ve can check the signal on analizer meter and than decise which booster and power strength you need for best reception and Quality.